Hugo ballots are due TOMORROW (Sat. July 15, 2017). If you'd like to vote, you can do so from the Worldcon 75 website. I had a great time at last year's Worldcon in Kansas City, but unfortunately I won't be attending Worldcon in Helsinki this year. If you can't make it to Helsinki, either, you can still purchase a supporting membership for 35 euros, which entitles you to vote. But do it soon! There were a lot of great finalists this year. 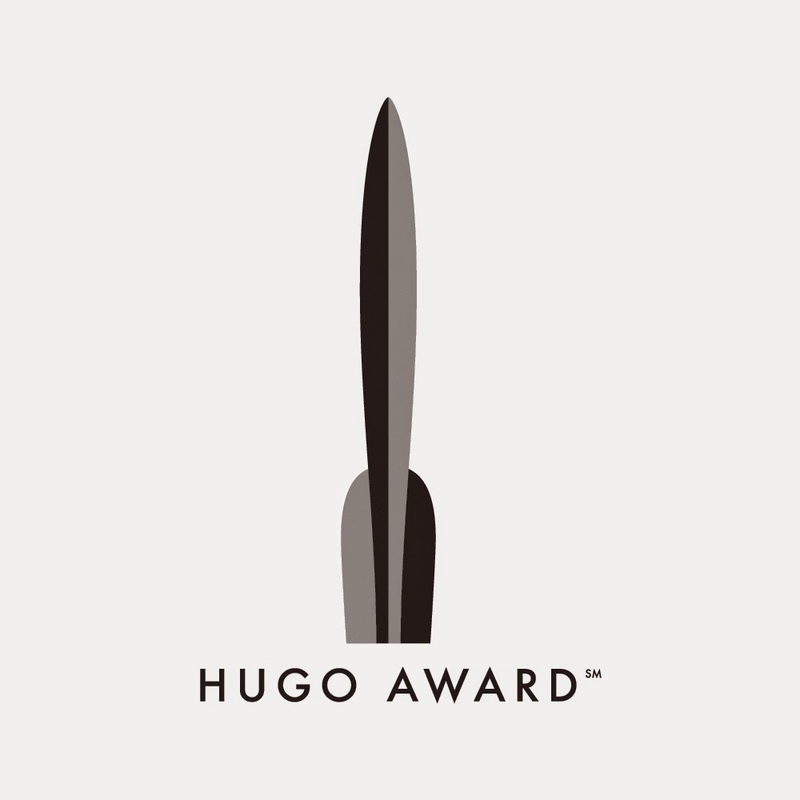 You can see them all on the official Hugo Award site. Way to go, science fiction and fantasy creators and fans! There were so many good finalists, I thought of some handy principles to help. Here are my three principles of Hugo voting (riffing a bit on Asimov's three laws of robotics just for fun). Works that are more ground breaking in the field in their construction, plot, characters, setting, ideas, etc. are to be preferred as are works that are neither sequels nor works by authors who have won Hugos in recent years. Works that delve more deeply into philosophical content are to be preferred. Works that are just plain fun and enjoyable are to be preferred as long as such preference does not conflict with the first or second principles. The big one! There were two really strong contenders in this category. This was my favorite novel of 2016, so no surprise there. The novelty of this novel is its historical consciousness in a science fictional setting, not to mention the amusing 18th century style prose of the narrator and philosophical bits on religion and other human activities. Not always easy, but always rewarding. See my full review. This was my second favorite of 2016. It's a sequel, which would have put it lower in the rankings given my first principle if Jemisin wasn't so good and still breaking ground (literally!). See my full review. I'll admit I didn't quite get this one, but it was definitely interesting and ground breaking (I think?). What's a calendrical system? Your guess is as good as mine. See my review. I liked Charlie Jane Anders's work on iO9, but I don't understand the hype about this book. Sorry. See my full review. After about 50 pages, this seemed fun but wasn't breaking any science fictional ground in either form or content. I might come back to it later, but it didn't strike me as Hugo material. I was impressed with most of the novella finalists this year. We seem to be in the midst of a novella awakening. The Tor.com novella series in particular is killing it. The first of two Lovecraftian tales (or, more properly, responses to Lovecraft). This one was ground breaking (or at least ground stirring) in many ways, and contained some beautiful writing and a deep point about the wonders of our own universe. I can say I was moved both aesthetically and philosophically by this one. From my Goodreads review: "Several things conspired to make me love this novella. Of course, it's a response to Lovecraft's The Dream-Quest of Unknown Kadath. The protagonist, Vellitt Boe, is a middle-aged college professor. And her traveling companion is a black cat. Above all, the entire novella is about inverting expectations. Lovecraft's racism and misogyny are turned on their heads. We get a portal fantasy that starts from the fantasy world and makes our world fantastic. The narrative is an epic quest with a protagonist who is a woman in her 50's rather than one of the teenage boys or gentleman bachelors that populate most epic fantasy. She is chosen not because she descends from gods or royalty, but because she's a professor with traveling experience who volunteers for a quest that might keep the land's only women's college from closing." This one has been on my radar for awhile, and it did not disappoint. From my Goodreads review: "A Taste of Honey is many things: fantasy beyond the usual Tolkienesque varieties, hints of a much wider world and deeper stories (some getting a bit science fictional, much to my joy), non-linear story-telling, bits of untranslated Latin (Why? Who knows? ), a world in which math and physics are considered feminine pursuits, and interestingly varied prose, not to mention cheetahs and bears! But the core of it is a beautiful love story between Aquib and Lucrio. If their story doesn't touch you in some way, especially in the unexpected ending, you may lack human emotions." The second Lovecraftian inversion, this time set in 1920's New York with a story involving a black man, Tom Tester, who interacts with characters from Lovecraft's "The Horror at Red Hook." Mind-shattering glimpses of cosmic horror ensue - or are more Earthly horrors just as terrifying? See my Goodreads review. Oh, China Miéville. I want to like your stuff, I really do. I do kind of like it. But it never quite works for me. See my Goodreads review for details. I read a few pages, and couldn't quite get into it. McGuire has legions of fans, so maybe I'm missing something. I've really enjoyed Bujold's Vorkosigan Saga (at least the three or four books I've read). I'm planning to vote for it for the new Best Series category. But this is a sequel and didn't seem all that interesting for some reason. Novelettes (aka, "longish short stories") are an interesting breed. There were a few gems among the bunch. Gilman's novel Dark Orbit was one of my favorite books of 2015 (see my review), so I was keen to read this. As in Dark Orbit, Gilman delves deeply into questions of mind, consciousness, and reality, only this time in the guise of a present-day first contact story. What do the aliens want? Are they capable of wanting? Might we be better off going with what psychologists call system one, what Daoists call wu wei, or what athletes call "being in the zone"? Is higher consciousness a gift or a curse? Deep stuff for what initially looks like a a ho hum first contact story! See my Goodreads review. A surprisingly touching story about a boy who can raise the dead (and more) in an Old West setting. I'm never sure if I'm entirely cool enough to grasp what Wong is doing, but I always enjoy reading her stuff. See my Goodreads review. Last year I read and enjoyed Allan's The Race (see my review), so I was glad to see her on the list. As with that novel, this novelette reads more like literary fiction (in a good way) with some light trappings of science fiction, which is odd because some heavily science fictional/fantastic stuff happens in both stories. A deeper question about why astronauts would agree to a one-way trip to Mars is raised, corresponding to the fact that we are all on a one way trip, whatever planet our grave will be on (strangely: this thought is not as depressing in the story as you'd think). This seemed kind of fun and quirky, but not really my thing. Couldn't get into this one for some reason. A terrible "parody" of Chuck Tingle that's a finalist because unfortunately the Rabid Puppies are still a thing, although I hope less of a thing than in previous years. I'm putting this lower than "No award," and I hope others will do the same. Short and to-the-point! Spots 1-4 were all pretty close for me. Just barely got the #1 spot on account of my second principle. My Goodreads review: "In the aftermath of a war, a game of chess is played by soldiers from opposing sides, one of whom is a telepath. So how do you play chess or other games when one player is telepathic? Is there hope for reconciliation after conflict?" A cool idea well executed. Almost #1. My Goodreads review: "Cities are alive in a sense, but what if that sense were a bit more literal than we tend to think?" As with her novelette finalist, Wong is doing something cool here even if I'm not entirely sure I get it. My Goodreads review: "A nice little fairy tale with a nice message." Some ultra violence and sizzling prose, but not quite my thing. 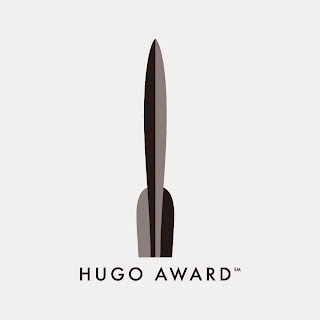 If the Rabid Puppies really wanted to sweep the Hugos (as opposed to merely annoying the rest of us), they'd certainly do a lot better than this. My Goodreads review: "Obviously the Rabid Puppy plant ... A critique of a certain segment of the left could work as a decent SF story even if I disagree politically and philosophically, but this lacks any subtlety or novelty. It's just bad." See also my 2017 Hugo Ballot, Part Two! There are plenty of categories left, including those for film, TV, graphic novel, editors, artists, and more.